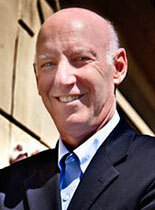 Professor Levine’s research and teaching interests are in the areas of North American urban history and public policy. His work has focused on issues of economic change, urban development, and cultural diversity in the city. Current projects include a study of the “creative class” and urban economies; the impact of “entrepreneurial universities” on the economic fortunes of cities; the growth of entrenched segregation and racial inequality in Milwaukee since the 1970s; and a history of the urban redevelopment policies in Baltimore since the 1950s. Independent Studies in History and Urban Studies on topics such as urban tourism, racial inequality in cities, mass incarceration, and language policy in divided societies. Levine, Marc V. “’The Wire’ et la ville américaine: un contrepoint au discours néoliberal.” The Wire: l’Amérique sur écoute. Ed. Bacqué, Marie-Hélène, Flamand, Amélie, Paquet-Deyris, Anne-Marie, and Julien Talpin, Julien. La Découverte, (2014): 12-25. Levine, Marc V. “Is Wisconsin Becoming a Low-Wage Economy: Employment Growth in Low, Middle, and High Wage Occupations, 2000-2013.” UWMCED Working Papers. (2014). Levine, Marc V. “Zipcode 53106: A Statistical Snapshot on Inner City Distress in Milwaukee: 2000-2012.” UWMCED Working Papers. (2014). Levine, Marc V. “Perspectives on the Current State of the Milwaukee Economy.” UWMCED Working Papers. (2013). Levine, Marc V. The Skills Gap and Unemployment in Wisconsin: Separating Fact from Fiction. 2013. Levine, Marc V. “The False Promise of the Entrepreneurial University: Selling Academic Commercialism in Milwaukee.” UWMCED Working Papers. (2009). Levine, Marc V. “Tourism and Economic Regulation: Shaping the tourism labor market in Montreal.” Cities and Visitors: Regulating Tourists, Markets, and City Space. Ed. Fainstein, Susan S., Hoffman, Lily M., and Judd, Dennis R. Blackwell Publishers, (2003): 167-184.